Tamil actor Karthi's Theeran Adhigaram Ondru has successfully completed 25 theatrical days at the Tamil Nadu Box Office. The police-drama, which had released on November 17 to positive reviews has so far minted a whopping Rs. 6 crore across the cinemas of Chennai. 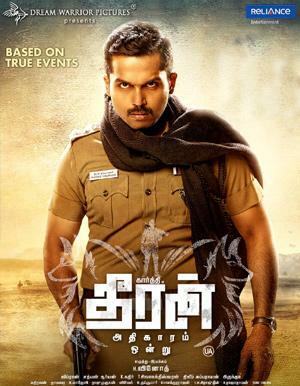 Theeran Adhigaram Ondru has been praised for it's thrilling story, action sequences and the performance of Karthi, which is considered as the best work of actor's career. While Theeran Adhigaram Ondru is still running to packed houses in cinemas across the Tamil Nadu, fans on Twitter are demanding a Bollywood remake of the hit film. Interestingly, Twitterati wants Bollywood superstars Salman Khan or Akshay Kumar to remake the Karthi starrer in Hindi. 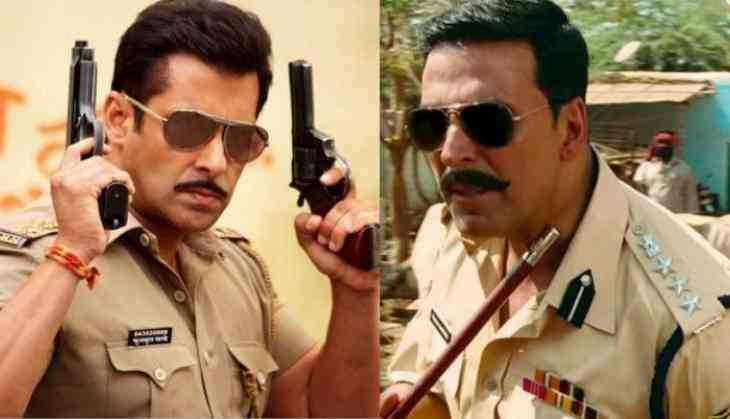 According to them, the story of Theeran Adhigaram Ondru is perfect for Salman Khan to come up with Dabangg 3 or Akshay Kumar to star in Rowdy Rathore 2.